Longtime series director Katsuhiro Harada on the history of the historic fighting series, and the broader future of the genre. I’ve played every single Tekken game — all of them, even Death By Degrees — going all the way back to the original PlayStation game. So with Tekken 7 launching today on PS4, it only seemed appropriate to reach out to Katsuhiro Harada, Tekken’s longstanding game director, to reflect on where the series has been — and where the larger fighting-game genre is headed. 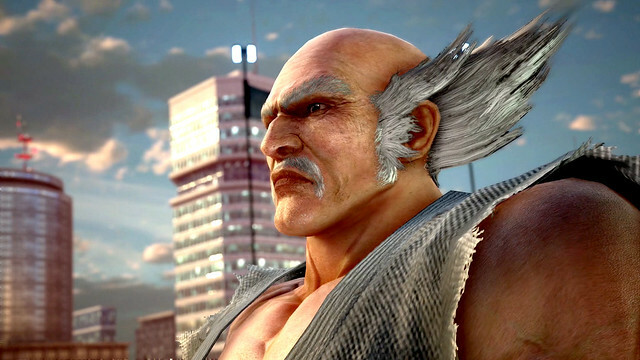 PlayStation.Blog: The Heihachi / Kazuya rivalry has been central to almost every Tekken game. With Tekken 7, you’re ending it. Does it feel like you are closing the book on a part of yourself? Katsuhiro Harada, Director, Tekken 7: It’s not just a chapter for me – you could definitely say that this is a major milestone in the storyline. I wasn’t expecting the Tekken series to be such a long-running franchise when we first started out. And since the series has continued for so long, the characters that we have put so much effort into have become like our sons and daughters. At the very least, I think that both father and son have been longing for a conclusion to this feud. Win or lose, part of the theme of fighting games is how you accept the outcome, and it is something you can’t avoid. Every time we create a new numbered installment, the Tekken Project always has the mindset of developing the game as if it were the last in the series and to leave no room for regret once the game is completed. In this feud between father and son, one of them will most likely die, but their conviction kind of represents this mindset of the team. The result of this feud was quite a shock to me, but it also shows one reason why the series is able to continue for so long. The series can also attract new fans because we are able to break down what we have created in the past each time and create something new. PSB: Based on what I’ve played, Tekken 7 is the most complex Tekken game yet — but it’s also the most accessible Tekken game in years. How do you strike this balance between veterans and newcomers? KH: It is difficult to speak in general terms about complexity. I don’t believe that Tekken is complex. If it were complex, it probably wouldn’t have sold 44 million copies and be the best-selling fighting game it is today. Some people in the FGC may say it is complex, but then others even say you can win in Tekken by button mashing, which sounds contradictory. In fact, many techniques can easily be performed by “button mashing,” but this also means it could be said the game is accessible to a wide audience. It is frustrating when I see the same person say that Tekken is very technical, and thus difficult, but then says that it is a button masher with no depth in other instances. In actuality, I believe the game is easy for anyone to pick up and play, yet difficult to master if you want to compete at a tournament level. However, the fan base is about 70% casual. Otherwise, it would be much too difficult to sell 44 million copies. Half of the 44 million is from Europe, with the next biggest fanbase coming from the US, and most of the players will never go to a tournament. Special effort was made to ensure that Tekken 7 was more accessible than past installments. Getting up after being knocked down was made more simple, as well as the controls. The new mechanics also are quite simple. 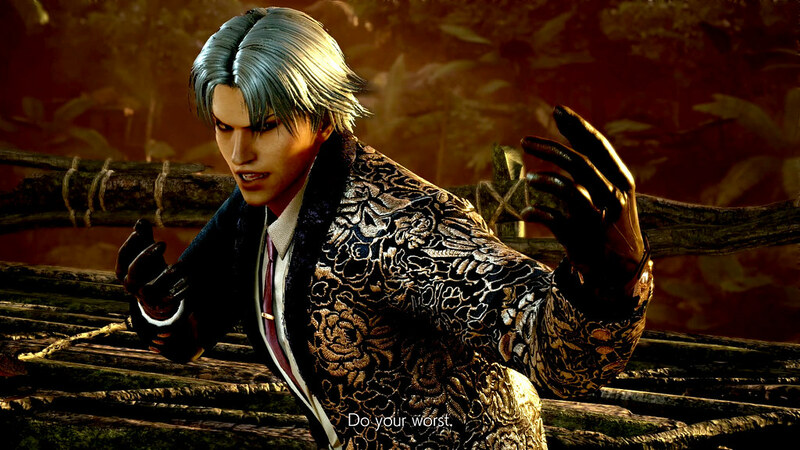 Long-time fans of the series have been saying this is the easiest Tekken for newcomers to pick up, and we have seen a large influx of new players for the arcade version in Japan and Asia. This was achieved because we have a good balance of breaking down/discarding what we have built up, and creating new content and mechanics on that streamlined base. 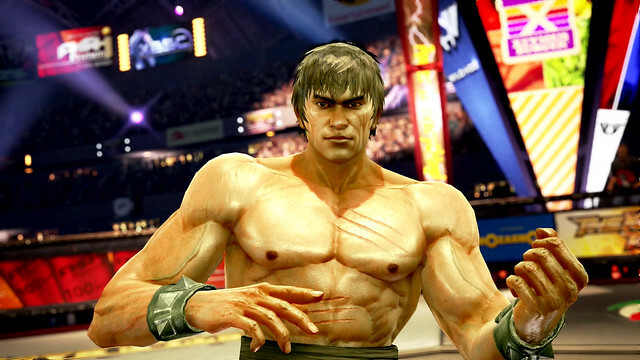 PSB: In some ways, I almost see Tekken 7 as a fusion of the best gameplay elements of Tekken 5 and Tekken 6. Am I right or am I off? How did you approach the broad “feel” of the game, and where it would sit compared to the others? KH: I think this is half true, but maybe the other half is not accurate. Tekken has changed quite a bit with each installment from Tekken 1 to Tekken 7. Before it became what it is now, the base was established in Tekken 1 and 2, and went through an evolution with Tekken 3. Tekken 4 marked a leap in the technology behind the game, even if the system itself wasn’t well received. Tekken 5 and 6 each saw a renewal of the fan base, with an influx of new players. For Tekken 7, we took all of the knowledge that we had gained throughout the series, streamlined the game systems while eliminating elements that were maybe overly complex, and then added new gameplay mechanics on top of that, so Tekken 7 is an all-new installment in the franchise. What is important is not to reject everything that you tried and failed at, but to take the technology and ideas gained in the process and re-evaluate them from a different perspective. Also, to have the courage to break what you have built up, and also try new things, while evaluating your fans’ reactions to the results. If you try not to analyze but to just play the game for enjoyment, you will more quickly see how it feels quite different from past installments. PSB: What are your thoughts on the modern fighting game genre, and dynamics that are driving it? One thought is that storytelling seems to be seeing far more importance over the last few years. I want you to look back to when we released on the PS1. 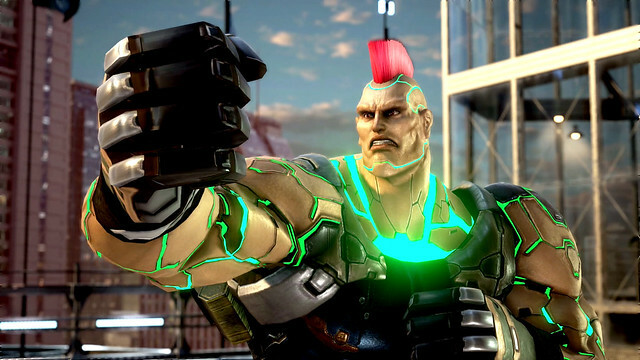 Tekken was one of the first games to be noticed for its pre-rendered movies available upon clearing the game that portrayed the storylines for each character. We even added very rich (and expensive!) CG opening movies to each installment to enhance the experience. 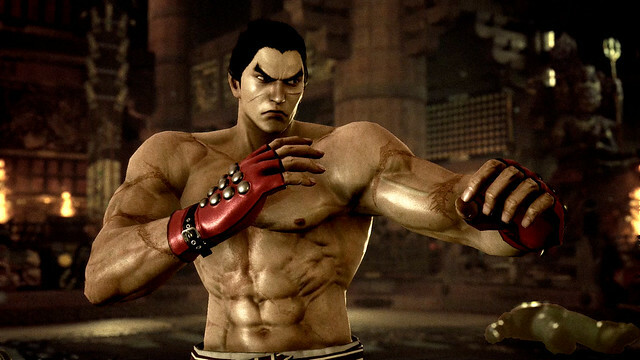 For Tekken 5, there were even real-time demos in which characters interacted with each other to enhance the story plots. In Tekken 6, you can see in the Scenario Campaign mode the amount of resources that went into the storytelling portion. 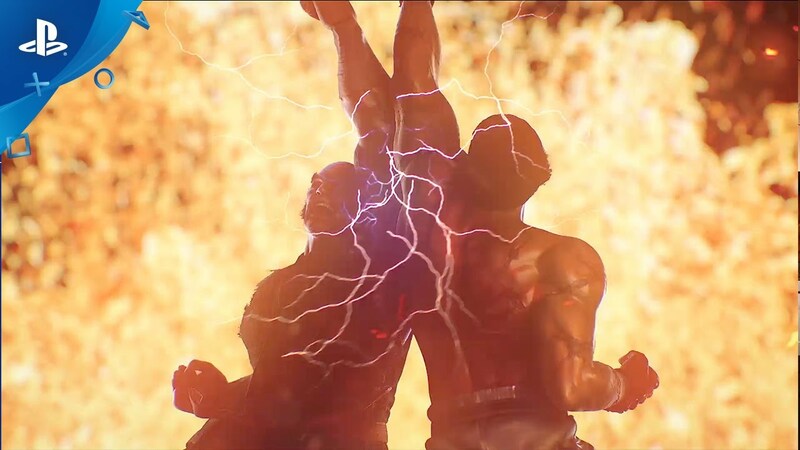 Storytelling has always been a strong point of the series and has made Tekken the leader in the genre. It is because of this background that I have thought recently that in the current generation it may be quite difficult to develop a non-license IP and completely new fighting game. If you think about it, the fighting game genre was born from the arcade business model and continues to have these roots. It might not be a bad idea to design a fighting game from scratch that is intended for consoles and is more geared towards online VS play, that might be quite different from the current model we all know. Maybe the speed of game play or the strategy in reading your opponent and how you fight them might be something totally different. Of course, if we could create an attractive world setting even with original IP character through a heavy emphasis on storytelling, it might provide the environment to be able to create an all new game. PSB: Looking ahead, where do you think the fighting game genre needs to go to continue to enjoy success and earn new players? KH: Of course this doesn’t just pertain to fighting games, but new players are a necessity. There has to be an influx of new players with each installment. And it is very important that the game/IP be popular across generations of players. I’d like to thank Harada-san for taking the time to field our questions. Tekken 7 is out today on PS4 — and from what I’ve played, it’s another polished entry in the historic franchise. They should put Kenny Omega as a character in the game. Damn mine will still take a while to arrive but I can’t wait.Still sad for not seeing Lei on it though like really really sad,especially when a dumb character like miguel was added. Well…always a pleasure to see Harada talking,nice one Blog. Also that thing he said about being difficult to create a new fighting game,I thought about that too a while ago and that is so true…the fighting games are already settled,you can’t come with a new fighting game and not get lost in the middle of giants. Now that Tekken 7 is out. Harada can we freakin have Tekken X Street Fighter yet? Don’t promote it with so much hype and let it die now, even though its been 5 years later now. I need a dedicated set of Side Step buttons. The Last Battle in story mode just screams a need for side stepping. Double tapping is super high latency for an input and should NEVER be used in a fighting game. 3D Fighting games are honestly the best thing since 2D fighting games and it is sad that every 3D fighting game to date has FAILED to realize what is needed to allow for jump crouch in addition to adding an easy to use range of motion in the arena. It’s not that hard to map shoulder buttons in a fighting gmae and we have 8 buttons dedicated to input commands. Who the heck is Kazuhiro, Sid? i also want to know who Kazuhiro is, surely the Tekken fan (even played Death by Degrees) can educate us. I don’t know what the crap you’re talking about man…Kazuhiro is my favorite Teakun 8 character right next to Peter Phoenix! Now Bamco need to move on, and go back and transcend the history by releasing Soul Calibur on PS4. This is what I want to hear at e3 from Bandai.